We are delighted to offer low cost chauffeur driven limousine hire services for a wide range of occasions in the London area. We operate throughout the city of London so if you need to hire a chauffeur driven limousine in High Gate or Wimbledon, Putney or Croydon, Wood green or Camden, Holland Park or Manor House, Ladbroke Grove or Kensington, we can offer you the benefit of our highly experience limo hire service. Limo Hire Area Coverage - View our London area coverage information. All of our limos come complete with a fully suited chauffeur who will be at your disposal for the duration of your trip. Our chauffeurs are handpicked for their advanced driving skills and also their ability to provide a superior standard of customer service so rest assured you'll receive the full VIP treatment when you book a limo ride in London with us. We pride ourselves on offering the very widest choice of luxury limos for hire so our clients can take their pick from the finest vehicles available. 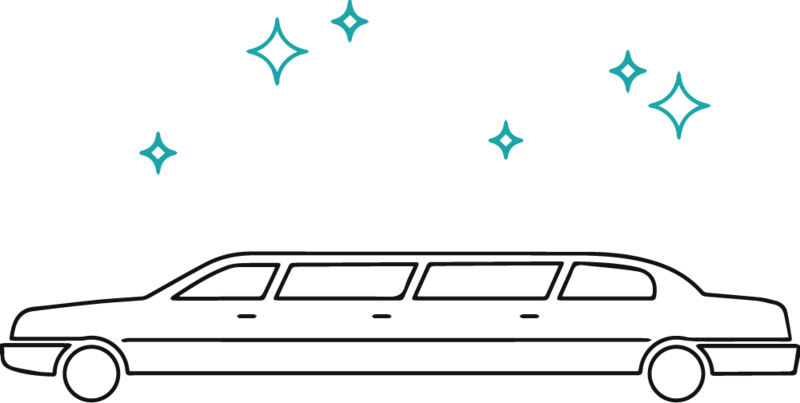 Regardless of what type, style or colour limo you may be searching for, you'll be guaranteed to find just the right vehicle to suit your requirements when you take a look at our extensive fleet of luxury limos. As well as offering the widest possible range of limos for hire in London, we are also committed to offering the every cheapest rates on limo hire to ensure excellent value for money for our customers. We work with all of our customers on an individual basis and tailor each limo hire booking according to the needs of their budget. So for an affordable quote on top quality limo hire in the London area, look no further than the UK's fastest growing luxury limo hire provider. Call us today to request a free quote for chauffeur driven limo hire in London.